I prepped a batch of lentils to make lentil tacos and I found myself with a few cups to spare. I took a peek in the fridge and saw that I had some feta that was begging to be used. A few minutes later, I had a lentil salad that I kept eating by the forkful as I set up my camera to snap a few photos. 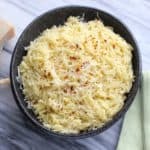 I was actually shocked at how delicious this was with just a few ingredients, so I wanted to pass it along! This is a perfect make-ahead recipe to pack for lunch! 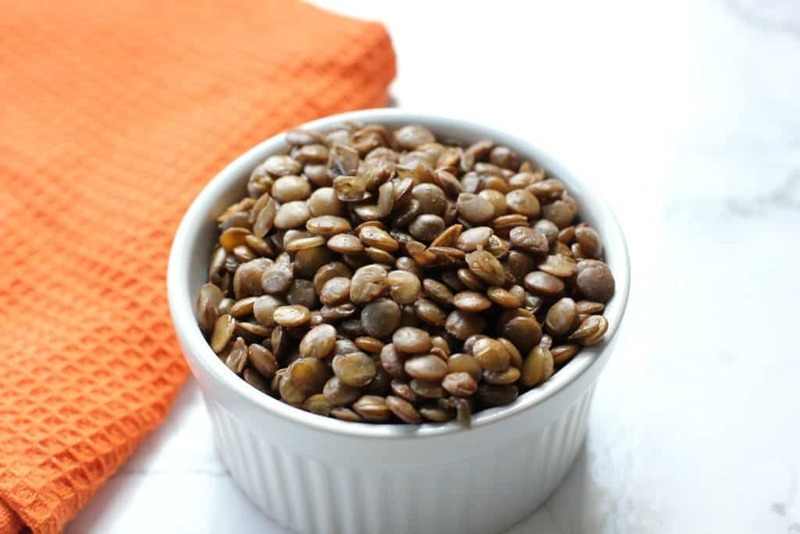 Once you have some cooked lentils, this recipe comes together in just a few minutes! You can use brown, green, or black lentils. I wouldn’t recommend red lentils though, as they don’t hold their shape as well. 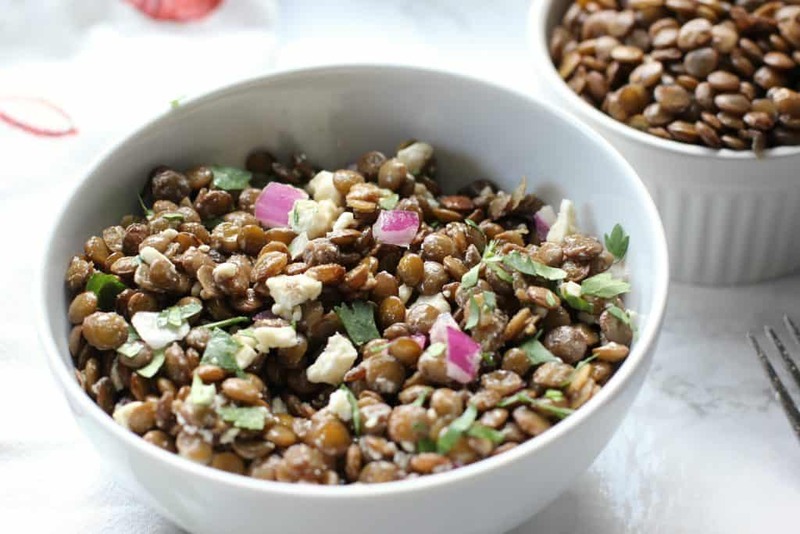 This lentil salad comes together in just a few minutes! It’s vegetarian, gluten free, and a perfect healthy lunch or dinner! This recipe is as simple as combining all the ingredients. You can either eat it at room temperature or keep it in the fridge. I found that I didn’t need to add an extra salt and pepper since I had cooked my lentils in vegetable broth. If you’ve simply cooked yours in water, it might need a little salt and pepper. Sometimes I feel silly posting recipes as simple as this one, but if I’m being honest, these are the recipes that I make over and over again. I don’t like buying specific ingredients for one recipe, so I like when I can use up the rest of the feta from these stuffed peppers and the last of the red onion from these black bean tacos. Alex and I set a few goals over the weekend, one of which is to waste less food. I buy a lot of groceries and I don’t always use things up before they go bad, so I’m trying to find new ways to recycle leftover ingredients. Salads like these make it easy! 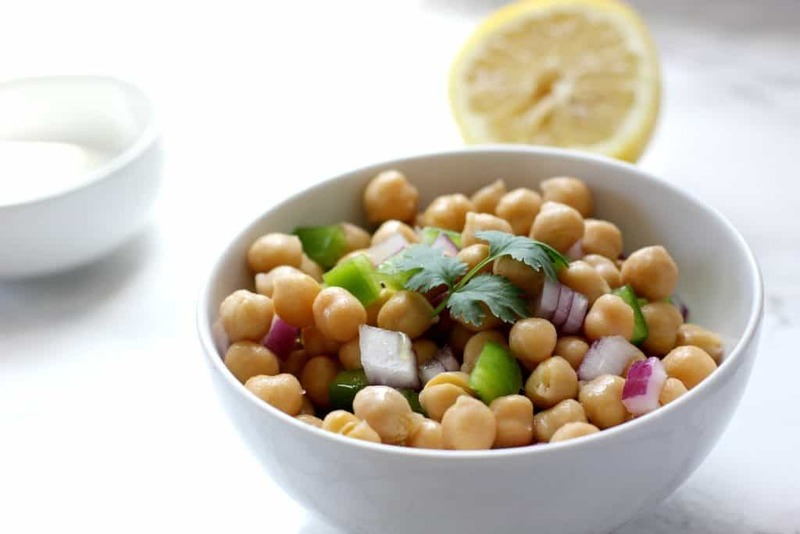 This chickpea salad is another great recipe that you can assemble in just a few minutes! What’s your favorite quick & easy lunch recipe? I love using lentils! This is a great way to use up some leftovers. Only 5 minutes?! Yes please. This looks yummy. I love me some lentils and I’m always finding creative ways to incorporate them more in meals, so I will definitely be using this recipe! wow just 5 mins for this awesome recipe! I will try your chickpea salad too. I love that you were trying to recycle ingredients by creating this; it’s always so fun to figure out ways to recycle ingredients to make new dishes. i love love love cold, fresh salad like this one. i am going to recreate this with sprouted mung beans at home tonight. How do you batch-cook lentils? I’d love to do this on a Sunday for easy cooking in the week! This sounds really good! 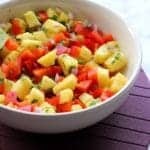 I think it would be a nice alternative to a picnic pasta salad! This looks so good! I haven’t had lentils in a way and now I want to make this! It would be good with an addition of fresh tomatoes too I think! Now that is some quickie salad that I would love to have! Great pics! SHUT UP! This looks so flipping amazing! 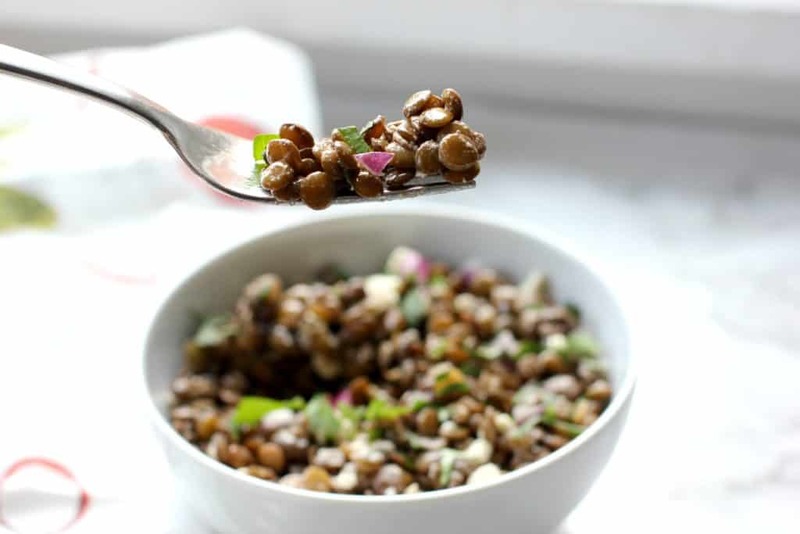 I cannot wait to get my face all up in this healthy lentil salad! What a great way to enjoy lentils. Cold and flavored! I forgot to leave a rating for this delicious recipe! I’ve been meaning to incorporate more lentils into my diet! You had me at 5 minutes! I love the combo of feta and red onion in here. 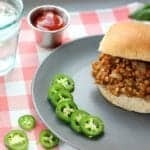 It works so well with lentils! You gotta love a healthy salad that only takes 5 minutes to pull together. Perfection! Ha, happens to me all the time. I always cook too much lentils 🙂 This is one tasty way to use these leftovers. Looks and sounds great. Yum! This looks so quick, easy & delicious. I LOVE lentils!! I almost always have salads on hand. If not, then I hit my local grocery store because they have the best salad bar! Sometimes, simple is best! Looks very yummy! You had me at 5 mins and lentils. Looks yummy. I really want to try this! I haven’t cooked with a lot of lentils before, but I love them! I recently started to cook lentils as a change for something new in my diet. 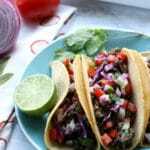 I really like adding some cumin seasoning for a Mexican taste for tacos. Yes!! They are so good in tacos!